Use our Map of Events to find activities near you. 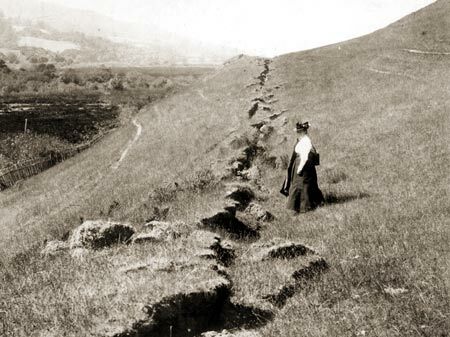 Stay abreast of the activities being planned to commemorate the 1906 Earthquake Centennial using our online calendar of events. View looking towards the north along the San Andreas Fault rupture 2-miles north of the Skinner Ranch in Olema. Photo by G.K. Gilbert from the USGS Library. increase public awareness of seismic hazard and promote earthquake preparedness and mitigation. explore the ways in which this major natural disaster affected the personal lives, culture, economy and development of Northern California.